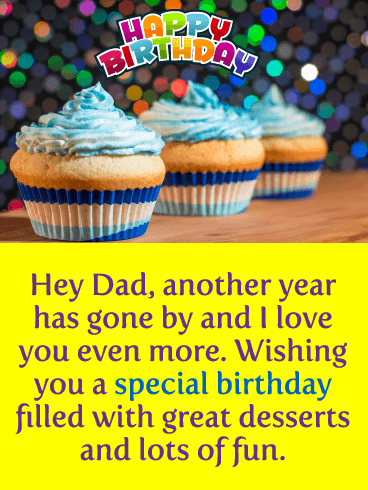 If you want to send your father a birthday card he can truly appreciate, then send this celebration cupcake birthday card to him today! 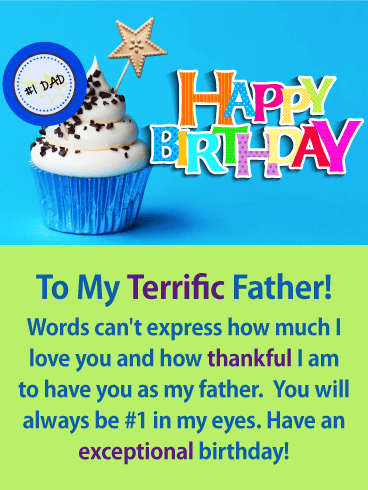 Everyone loves cupcakes so you can be sure that he will be thrilled when he receives it. 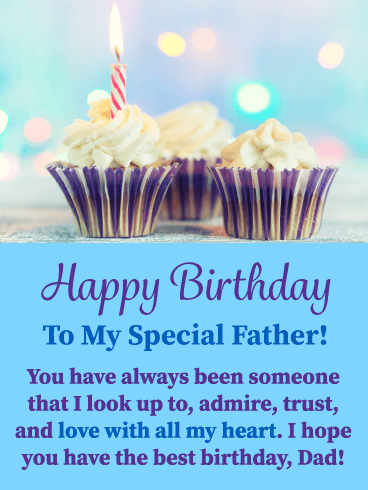 He will be touched by the special message that expresses that you admire and trust him, as well as love him with all your heart. 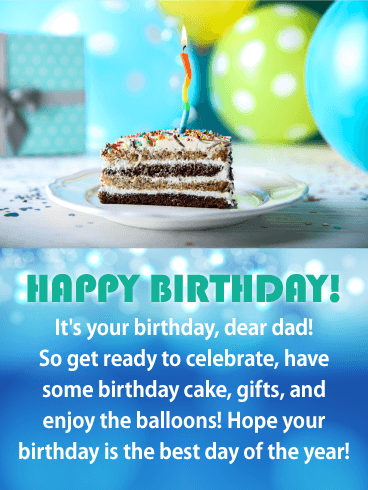 This would actually be the best birthday present he could receive from his child! 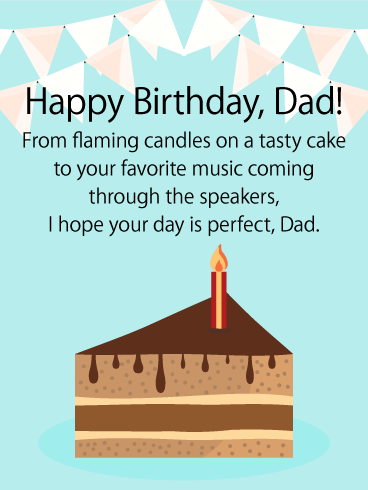 If your father loves cake, then he will really enjoy this birthday card! 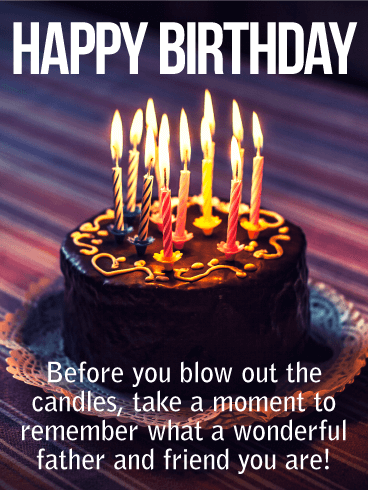 It showcases a decorative cake, fancy frosting, lit birthday candles, strawberries, and stars! 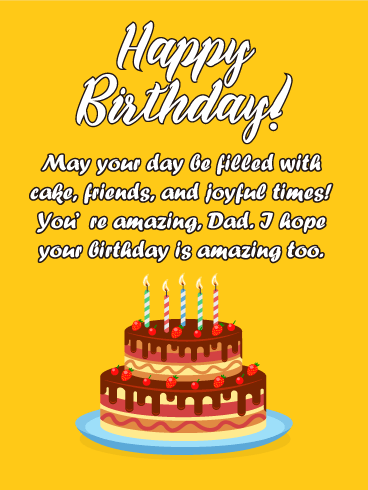 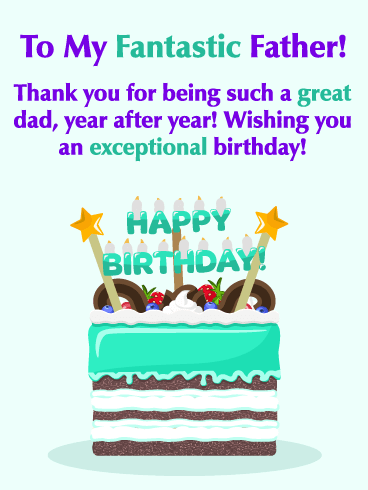 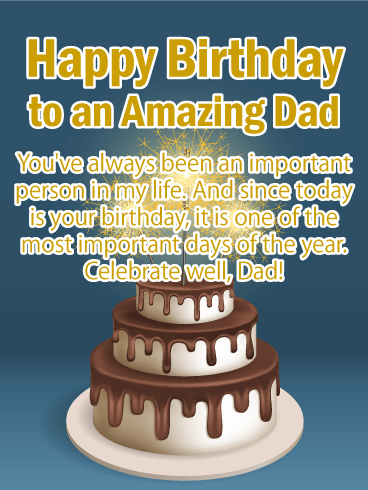 By sending this birthday card, you will be thanking him for being such a great dad, year after year! 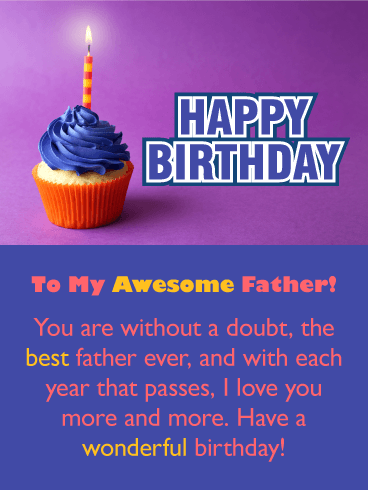 He will be so happy to read something as touching as this from his child. 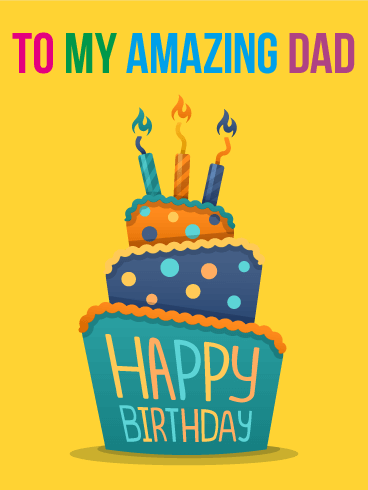 Send this incredible birthday card over to your father today so that he can enjoy it on his special day. 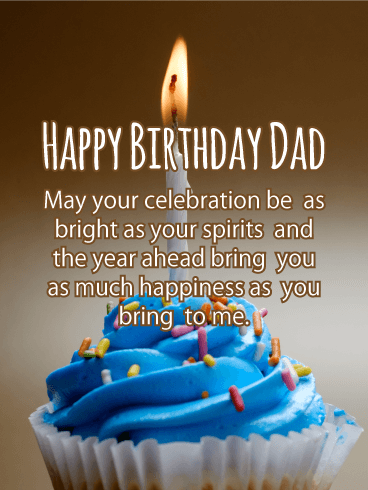 Your dad has a wonderful spirit that he shares with you and everyone around him. 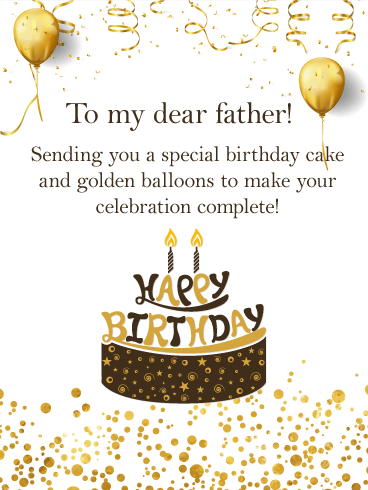 On his birthday, let him know how special he is with this festive card. 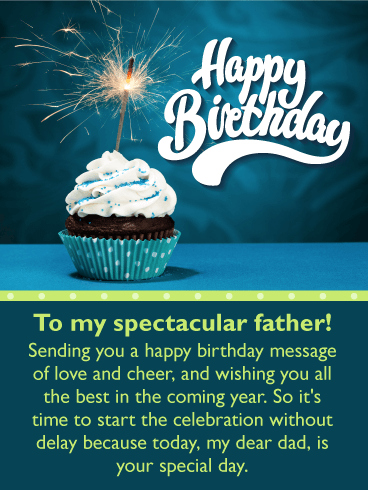 A single candle tops a frosted cupcake full of colorful sprinkles, waiting to for him to make a wish. 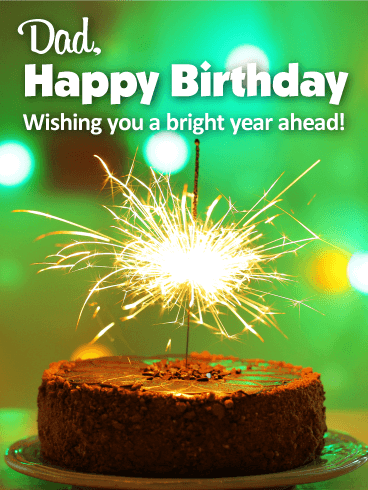 And the most important wish is the one you have for him: to have plenty of happiness in the year ahead.